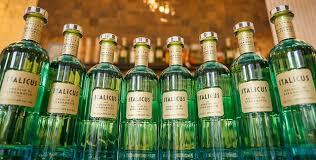 •Championing the humble bergamot fruit, ITALICUS is produced at a family-owned distillery established in 1906 in Moncalieri, Torino. Bergamot from the UNESCO-protected area in the Calabrian region and cedro from Sicilia are infused in cold water to release their essential oils, in a time honored process called Sfumatura, before being blended with Italian neutral grain spirit. •A delicate combination of Roman chamomile from Lazio, lavender, gentian, yellow roses and Melissa balm from Northern Italy are then rested macerated together for several days before being married with the bergamot and cedro essential oils to create the final liquid. •ITALICUS founder Giuseppe Gallo comments, “This is an incredible moment in my career and I’m very pleased to share it with some of the best in the business, who I’m proud to call my friends. 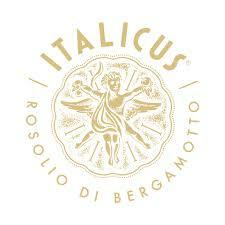 The launch of ITALICUS marks the end of a life-long ambition to bring back the Rosolio category which was first born during the renaissance with Caterina de Medici in Firenze. Fill glass with ice. Pour in Gin, Dry Vermouth and Italicus. Stir well. Garnish with Geata Green Olive. 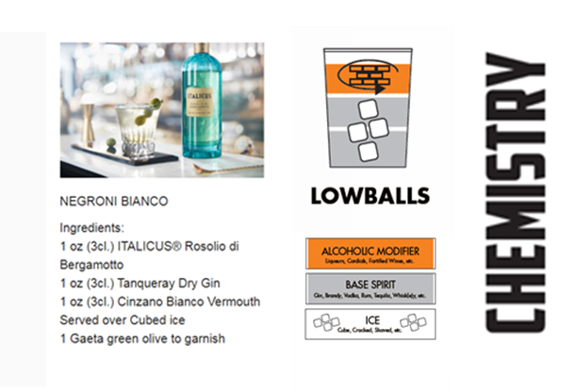 The Negroni Bianco is a member of the Lowball category. The most common DNA of this category comprises 2 all-alcoholic ingredients drinks as seen in a Rusty Nail or a Godfather. 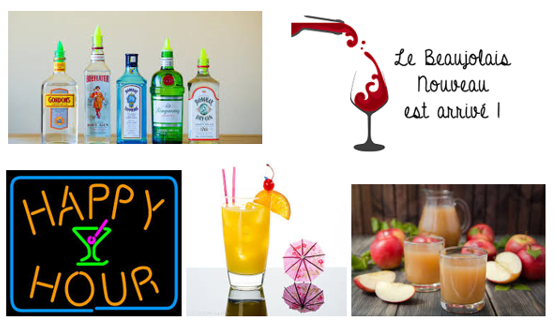 However, some Lowballs are exceptions and will comprise of three all-alcoholic ingredients. We are releasing the Second Edition of the Twelve Cocktails book in 2019! If you have any ideas or suggestions for us that would help us improve it please let us know! If we use your suggestion, we will give you credit in the new edition and you will receive a free signed copy of it too! Please email your ideas to info@aummagroup.com.